Home » Made In Japan » Need. Wooden. 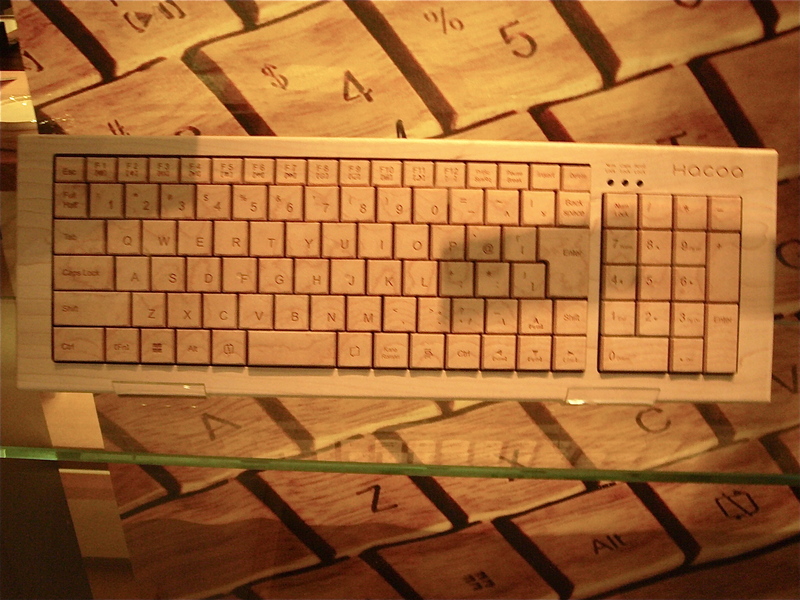 Keyboard. Saw this in the window of a shop at the Aki-Oka artists’ colony under the train tracks in Akihabara. Hacoa specializes in beautiful modern things made of wood: computer stuff (keyboards, mice), iPhone covers, pens and more. If you’d like to visit Aki-Oka Artisan the next time you’re in Tokyo, a map is on my website, The Tokyo Guide I Wish I’d Had.